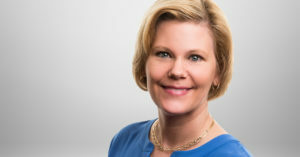 Malvern, PA, April 4, 2019 – VenatoRx Pharmaceuticals today announced that Lisa Wittmer, Ph.D. has joined the Company as Chief Development Officer. Dr. Wittmer has more than 20 years’ experience and a demonstrated track record in leading development from early stages through to licensing, registration and commercialization of new therapeutics. In her new role at VenatoRx, Dr. Wittmer will oversee nonclinical and clinical development, as well as global regulatory affairs. VenatoRx’s second development-stage product in clinical development is VNRX-7145, an orally bioavailable BLI that in a fixed combination with the third generation orally bioavailable cephalosporin, ceftibuten, has the potential to rescue activity of the partner antibiotic against ESBLs and key carbapenem-resistant Enterobacteriaceae, including those expressing KPC and OXA carbapenemases. Additionally, VenatoRx has a broad pipeline of preclinical programs including a novel class of Penicillin-Binding Protein (PBP) inhibitors that are impervious to beta-lactamase-driven resistance, and novel antiviral agents targeting Hepatitis B Virus. For more information, please visit www.venatorx.com.